From idea to reality its a very long way sometimes. I needed to create something like a life plane to make this to work. One off the biggest challenges for the moment was to get the money to the expedition. To barrow the money was not an option and I was not likely to get a sponsor ether. I was reducing my living cost to almost nothing. And I was needing a job where I could work many ours and being able make some money. 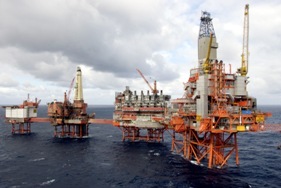 During this time they had some big construction projects going on in Norway, for the gas and oil companies. I had some experiences from scaffolding before. And was lackey to get a job in that profession. Scaffolding is heavy job and united with great risks if you don't doing it right. You're often end up working in bad weather conditions hanging high up in the sky. 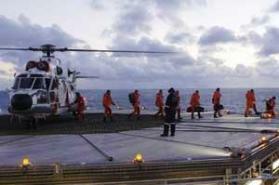 This was also giving me the opportunity to work offshore on the Oilrigs. Have always being fashioned of the enormous islands of steel in the middle of nowhere. Before I could start to working on the oilriggs. Was I needed to complete one week of training and different other tests. 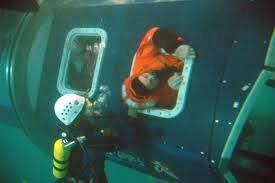 Which included helicopter evacuation under water. The money offshore is not sow good like it was before in the old days. Nowadays you only get a god salary if you can work much overtime. A normal rotation you flaying out for fourteen days and are home fore three or four weeks. You work for twelve or sixteen hour a day. And to work like this was giving me many opportunities. In the free time in Sweden I was being able to work at home too. And having time to preparing me for the expedition in different ways. I wonder how many ton off scaffolds I have caring to get afford to do these adventures. Can't even imagine and I don't want to now.